A picture speaks thousands of words. So instead of writing hundreds of lines in theory we are showing you some images of practical ways you can arrange Damodara programme at your place. What is the month of Damodara? 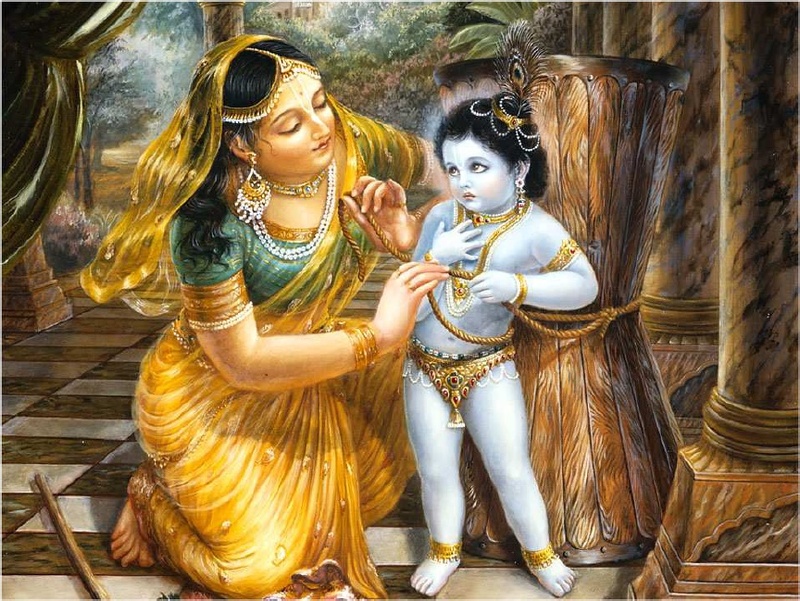 The glorious month of Kartika or the Damodara month is the month during which the sweet Lord Krishna was bound to the wooden mortar by Mother Yashoda for stealing butter, more than 5000 years ago.‘Damo’ refers to the belly and ‘Udhara’ refers to the ropes. Lord Damodara, although known for his mischiefs, is none other than the Supreme Lord Himself and this wonderfully sweet pastime denotes that the all merciful Lord allows Himself to be bound by unalloyed pure love. Srila Prabhupada recommended that devotees perform Vratas during this auspicious month and increase their devotion to Lord Krishna. Hearing more to scriptures, offering ghee lamps to the Lord, increasing reading etc are some of the vows devotees commit to during this month. What do the scriptures say about Damodara month? According to various scriptures, the effects and benefits of performing devotional activities during this month are unlimited. To spread the mercy of this auspicious month, devotees from all around the world have started encouraging everyone to show ghee lamp to the sweet Lord. As a preaching method, devotees conduct house programs, public programs, school programs and many more in order to reach out to as many souls as possible to receive the mercy and blessings from Lord Damodara. Every year devotees come up with more innovative ideas to reach to the people. Some devotees go door to door, armed with ghee lamps and picture of Lord Damodara. Some devotees organize programs in large scales in public places like shopping mall, bus stands etc. In this way, with every year, more and more number of souls are benefiting by offering lamps to the Lord. “We had to keep track of how many people are offering, but also to reach out to get to Counsel Groups, Bhakti Vriksha Groups or Namahatta Groups to reach out and also to give them to everybody. They did that in our Kaula Lumpur. First year, they did 500 people. So they felt, “Oh that’s pretty good”. Next year, they got about 1000. Last year I think they did about 172,000 lamps. This beautiful month of Damodara, not only gives us the opportunity to purify ourselves but dive deeper into our own Krishna consciousness and it is a great opportunity to preach and spread the mercy to everyone and bring them closer to the Lord! All glories to Lord Damodara!